It may be winter, but you don’t need to be dashing through the snow to enjoy it! Spend the holiday season on the Central Coast and see what sunny San Luis Obispo has to offer. These winter activities, attractions and events can’t be missed. 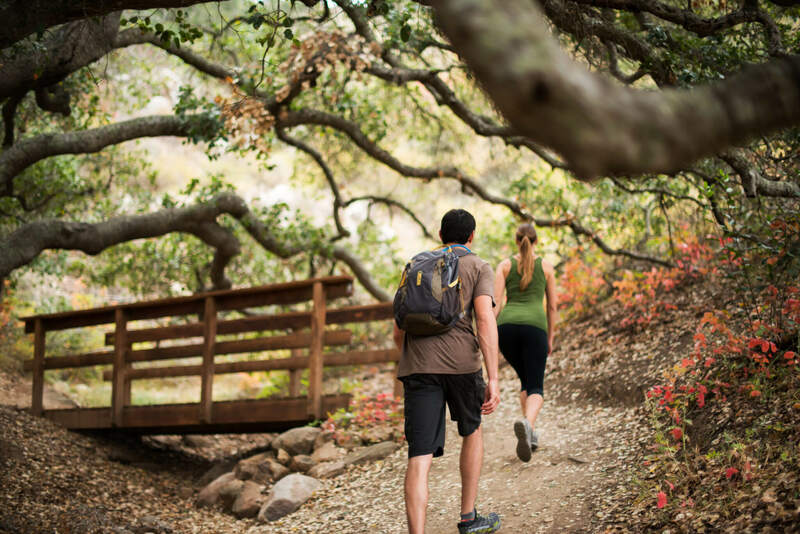 If you’re the outdoorsy-type, there’s plenty of hikes throughout SLO for any level hiker, including South Hills, Reservoir Canyon and Islay Hill. But every December, lights in the shape of a Christmas tree are pitched at the top of Cerro San Luis, which can be seen throughout town. Want to see it up close? Trails are open all day and, starting in November, the trail will be open for nighttime use until 8:30 p.m. if you have a permit in hand. During the holiday season, the Old San Luis Obispo Downtown Trolley is decked in lights and ready to transport guests from Monterey Street hotels throughout the downtown area. This old school transportation can take you to your dinner date, shopping excursion or family outing to Mission Plaza. Every year, Hearst Castle is decked out for the holidays in the way William Randolph Hearst would have in the 1920s and 1930s. A seasonal tour is held throughout the grounds and Casa Grande, where you can see towering Christmas trees and thousands of lights adorning the halls. Their Holiday Twilight Tour is 75 minutes and starts at 5 p.m. on select days throughout the end of November and entirety of December. SLO is home to some of the best wine, beer, cider and of course, food! On the hunt for the best wine and beer? 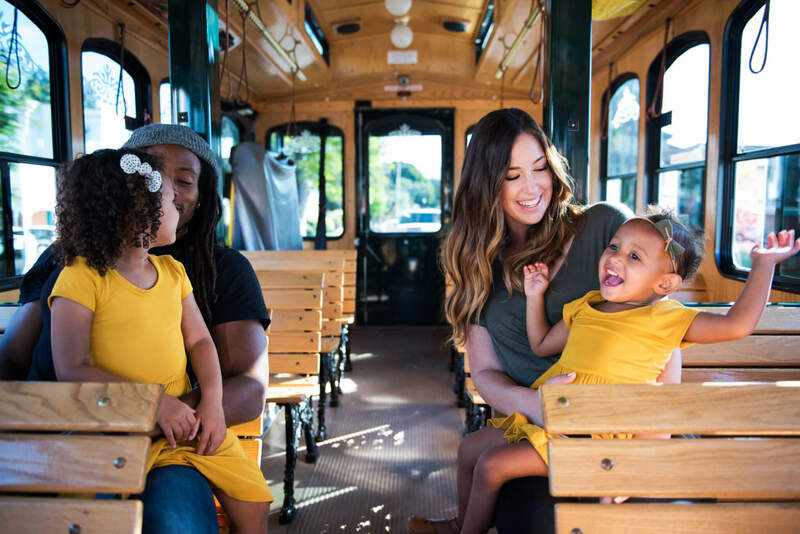 Organized transportation tours like Breakaway Tours, Hop on Beer Tours and Uncorked Wine Tours will take you and your party safely through Edna Valley or from brewery to brewery. In Downtown SLO, tasting excursions can be enjoyed with Big SLO Bike, a 14-person, pedal-powered vehicle. 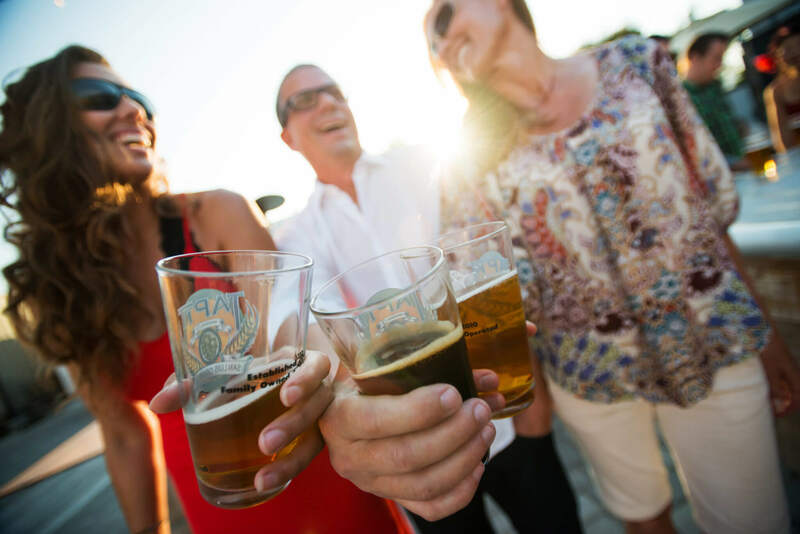 Grab some friends and bike your way to microbreweries for a beer-tasting trip, or book the wine and bites tour to sip on local wines. Not a beer fan? Ciders can be found at taprooms and breweries around town, or at SLO Cider Bar, a new taproom in The Creamery. And, if discovering SLO’s fresh, farm-to-table cuisine is top of mind, then you’ll definitely want to check out Taste of SLO – Walking Tours. 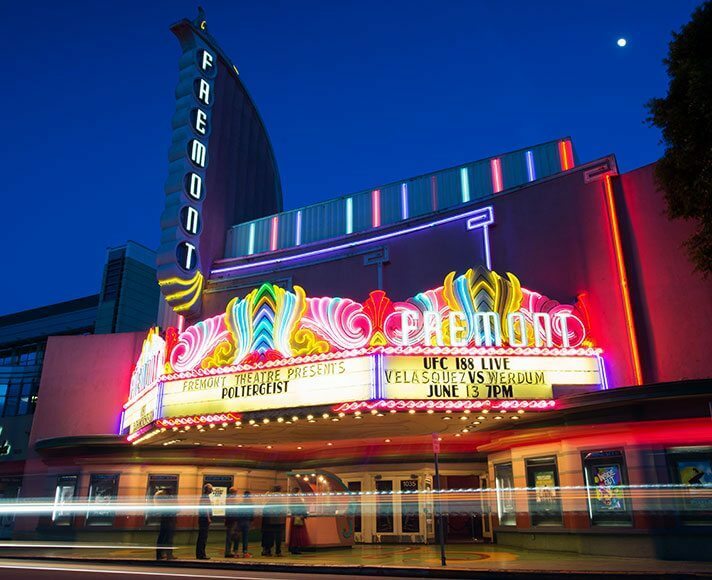 Concerts and live performances are always happening at venues around SLO. Visit the Performing Arts Center for winter symphony and choir concerts, as well as live performances of “The Nutcracker” and “The Snow Queen.” Upcoming indie bands like Vista Kicks, and Mt. Joy are set to perform at SLO Brew; and Fremont Theater will host a variety of artists including Shakey Graves, Ookay and Creed Bratton. If you’re in the mood for a professional theatrical performance, head to SLO Repertory Theatre for “A Christmas Story” and “The Santaland Diaries” throughout December. Be sure to check out our SLO Happenings Event Calendar for show info and to purchase your tickets. Spend some time at The Apple Farm’s “25 Days of Christmas” holiday shopping, eating a buffet dinner with Santa and listening to live music. Santa is visiting SLO and setting up shop in Mission Plaza. Bring the kiddos out for complimentary activity books, toys and of course, candy canes. Photos with Santa are also available for purchase at Santa’s House. SLO Repertory Theatre presents, “A Christmas Story,” a lively take on the classic holiday motion picture. Watch the professional theatrical production of the story of Ralphie and his Red Ryder BB gun, but be sure to act fast—the show has sold out for four years in a row. Find the most unique and special gifts for everyone on your list this year at SLOcally Made. Browse handmade gift from over 20 local makers that have come together to bring form, identity, and purpose to the concept of shopping local. Check event listing for dates and times. The Civic Ballet of San Luis Obispo is proud to present their 41st presentation of The Nutcracker! An absolute classic that cannot be missed. Audiences of all ages will marvel at the magic and wonder of the spectacular professional production accompanied by the OperaSLO Symphony Orchestra and featuring local guest dancers. Ok, this one’s for the adults. Caskmas, held at Libertine Brewing Company features an ugly sweater contest, specialty cask pours from several breweries, food and live music. Community members and visitors line the streets of Downtown SLO every year to see nearly 100 floats from local businesses show off their lights and holiday decorations. Santa might even participate to visit all the good girls and boys of San Luis Obispo! Two-time Grammy award-winning country music artist Leann Rimes is set to bring the holiday spirit to SLO, with a performance complete with Christmas classics and greatest hits alike. This holiday event is to take place at the Performing Arts Center.